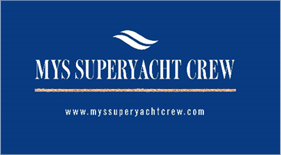 Major Yacht Services is the leading supplier to the Superyacht industry of Diesel fuel and lubricants Australia wide to both foreign and domestic superyachts. We can provide bunkers direct to your yacht. Depending on your location, we can offer Bunkers from either truck, barge or bowser. Holding trade accounts with several major fuel suppliers throughout Australia, Major Yacht Services is consistently doing the fuel volume to enable fuel supply at the most competitive prices. For yachts that will soon depart Australia, Major Yacht Services can supply fuel completely duty free. Don’t pay pump price, get in contact for an obligation free quote. Please note the delivery method will affect the Price of the quote. Please select ‘Flexible’ if you’d like a quotation on each method of delivery.